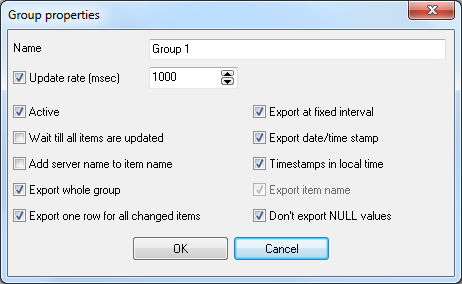 If you need to not only log the changes of the DDE item values in the MSSQL database, but also analyze and process them after that, it will be more convenient to create a table where there will be a separate column for every item. 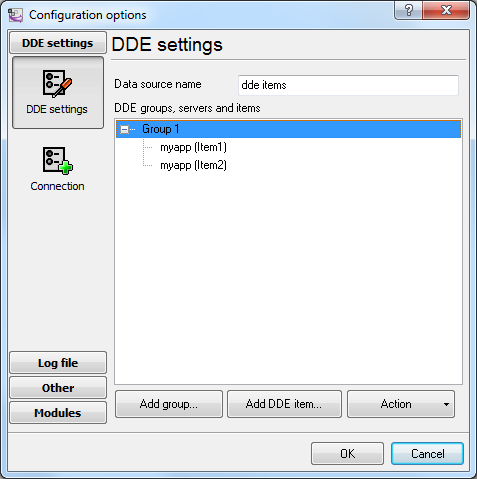 This method can be applied if there are not many DDE items. 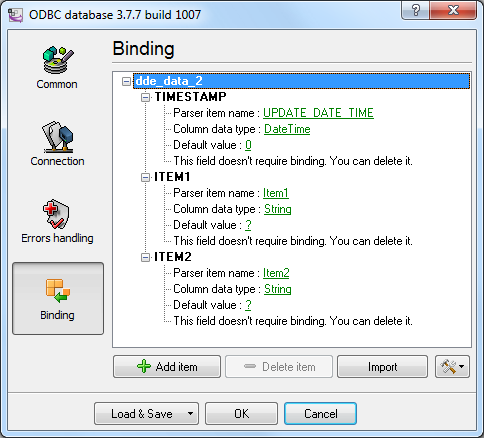 Every line contains the value of all items and the additional "UPDATE_DATE_TIME" item with the timestamp. Steps 5-7 are similar to those from the previous example "Writing a lot of DDE items". 8. Binding (fig. 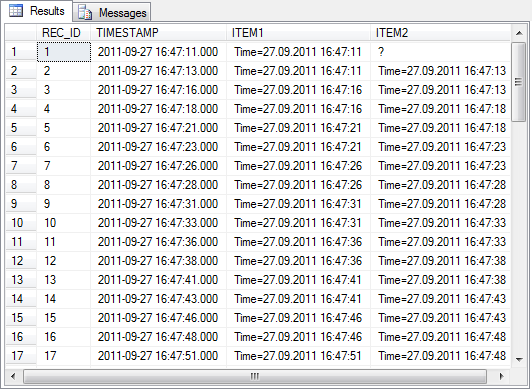 4) is slightly different from that in the previous example because the table contains a different set of columns.